Remember your grandmother's jewelry box? 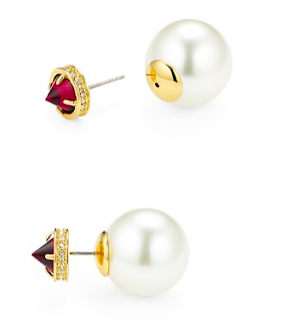 You would look in and see an array of shiny brooches, gold chain necklaces, and a variety of colorful stones. Who knew which were family heirlooms and which were thrift shop, but who cared? 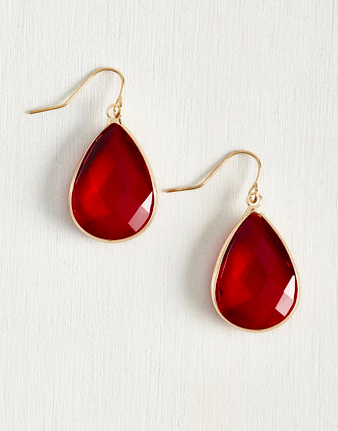 One of my favorite pieces was always the ruby. It was regal and feminine. The deep red was rich like a merlot. 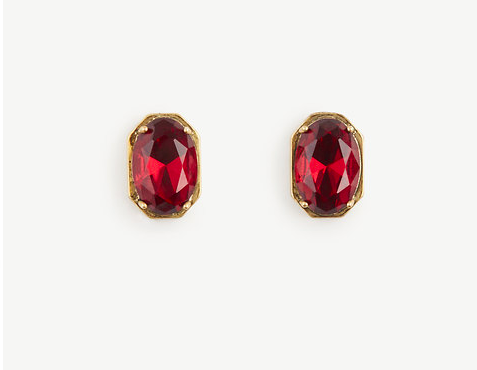 While I don't have heirloom pieces for under $100 today, I do have some fun ruby earrings that won't break the budget. This item's description is 'the perfect finishing touch'. I couldn't agree more. The flush stone is very unique. Makes them a bit more of an everyday piece. I'd wear these with a complimenting bold lip. Very rich. Didn't see these coming, did you? Ooh girl these are special. Get ready for compliments. 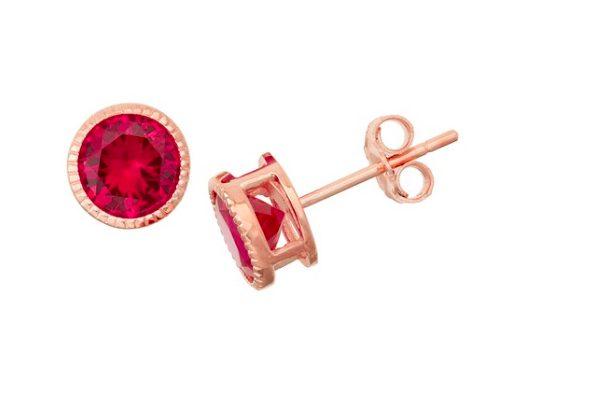 The depth of the red ruby adds so much to a simple piece of jewelry. Its a saturated color that demands attention.